Around half the US$290 million net proceeds from a bond exercise by Asian casino developer NagaCorp Ltd that was completed last week, would be used for refurbishment of its original Cambodia flagship property NagaWorld (pictured) – now commonly known as “Naga 1” – said a Sunday note from brokerage Morgan Stanley Asia Ltd. The remainder would help with the casino operator’s expansion of VIP gambling business, added analysts Praveen Choudhary and Jeremy An. The analysts nonetheless observed: “The new route to access capital (hitherto not available to NagaCorp) will support future growth regionally and locally,” they noted. NagaCorp has a monopoly casino licence for the Cambodian capital Phnom Penh and its surroundings, and has also pledged to develop a casino resort in Primorksy Krai near the Pacific port of Vladivostok in the Russian Far East. A press release in April from the Primorsky Krai Development Corp said NagaCorp had begun pile cap work for its gaming resort in the Primorye Integrated Entertainment Zone. NagaCorp chairman Tim McNally said in March that the group’s Primorye casino resort remained “broadly on schedule” for operation by 2019. 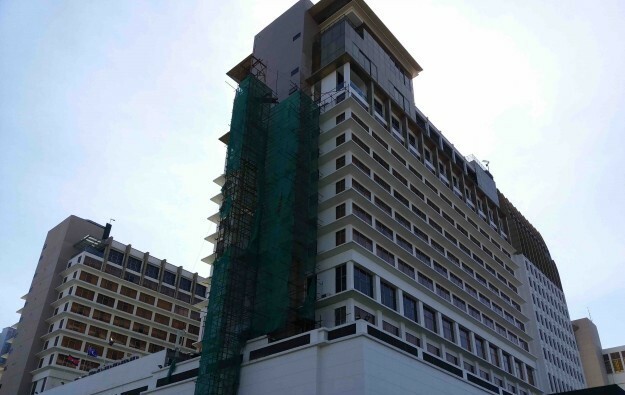 At the opening of the firm’s Naga 2 facility in November, a 900-room extension to its NagaWorld gaming resort in Phnom Penh, the firm’s founder and chief executive Chen Lip Keong outlined a strategy to capture – via new resorts strategically placed around the Asia Pacific region – gambling business from the four corners of China and potentially the Japan market too.